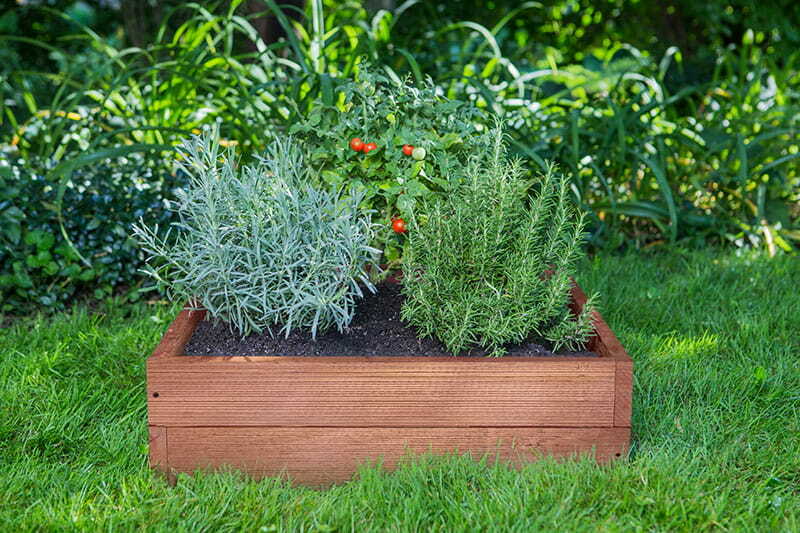 What’s the difference between a raised garden bed and an elevated garden planter? Well, let’s start with what makes them the same. You can fill them with the soil of your choice. Since you don’t walk on the soil, it doesn’t get compacted, and the roots have an easier time growing. They drain better than conventional garden beds. When designed properly, they have fewer weeds than conventional garden beds. Here’s where their differences begin. The elevated garden planter is a planting box with legs. With it, you can comfortably garden standing up. There’s no need to bend or kneel to tend to your plants. This is especially helpful for those who want to minimize back strain. The elevated garden planter has a plastic bottom that holds the soil. 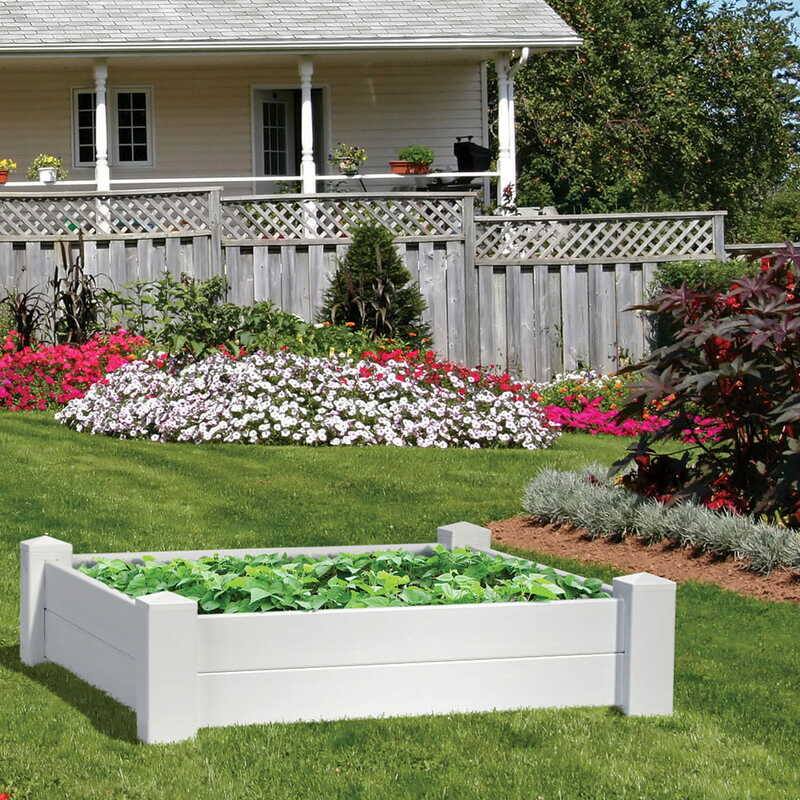 Because the soil is contained, you can place the elevated garden planter in an area you couldn’t usually have plants. Popular spots are patios, decks, porches and balconies. Because elevated planters have bottoms, you are limited in the types of plants you can grow in them. 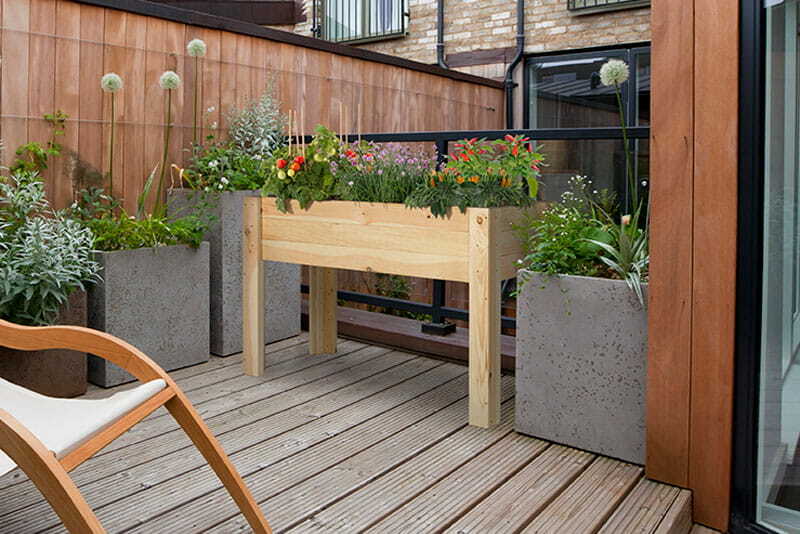 When choosing plants for an elevated garden planter, be conscious of how much space and depth a plant needs. 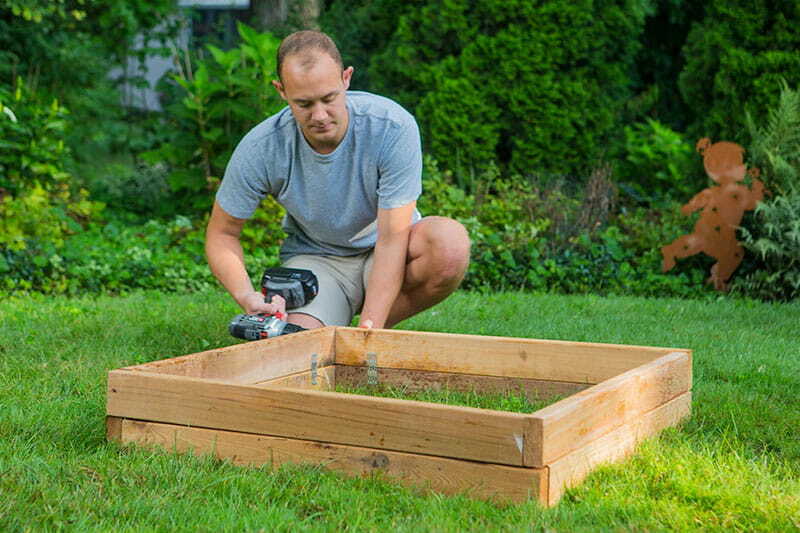 Raised garden beds, on the other hand, are designed to be built on the ground. They are raised high enough to fill with the proper depth of soil, but not high enough to eliminate bending or kneeling. 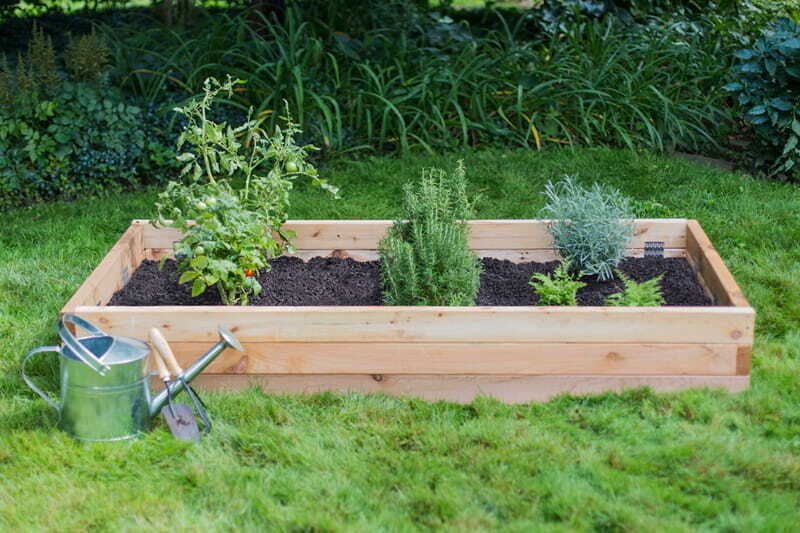 If you have yard space for a garden but don’t have good soil for planting, a raised garden bed is a good option. Unlike elevated garden planters, raised garden beds do not have bottoms. What’s good about that? You can choose the size and shape of your garden. Also, you’re not limited to the types of plants you can grow. Raised garden beds are better for larger plants that need more planting depth. 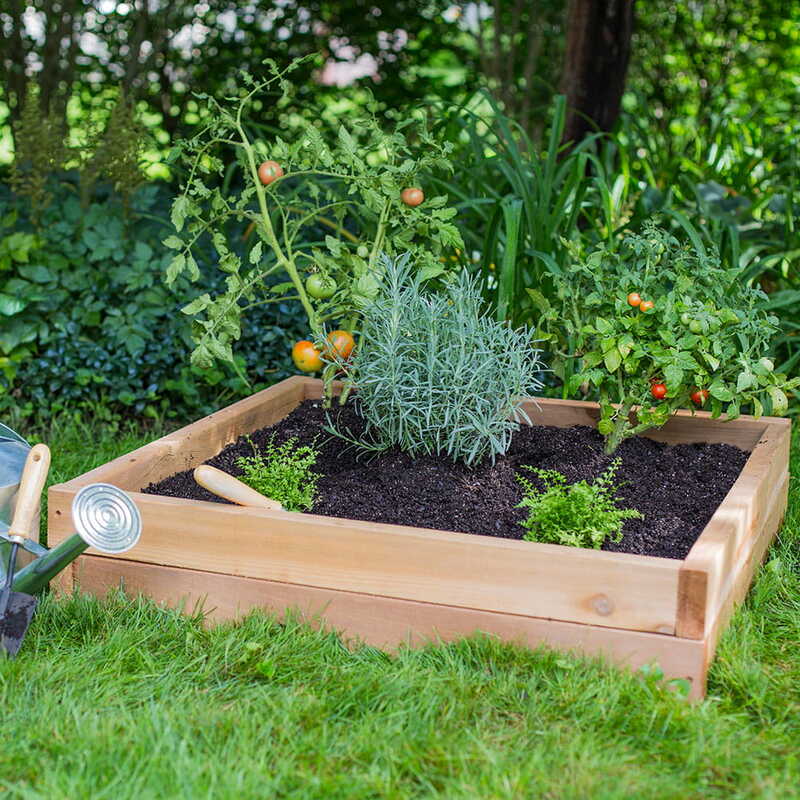 You can build either one from scratch or check out our DIY-friendly, easy-to-assemble raised garden bed and elevated garden planter kits.